Introducing an ideation platform where peers can raise, review and vote on ideas across the workplace – whether for management, projects, marketing, human resources or even team building activities. Kudos Ideas simplifies crowdsourced innovation and decision making. Enabling idea generation, expert reviews, management approvals, open discussions and decision making, as well as following the best ideas all the way to implementation! 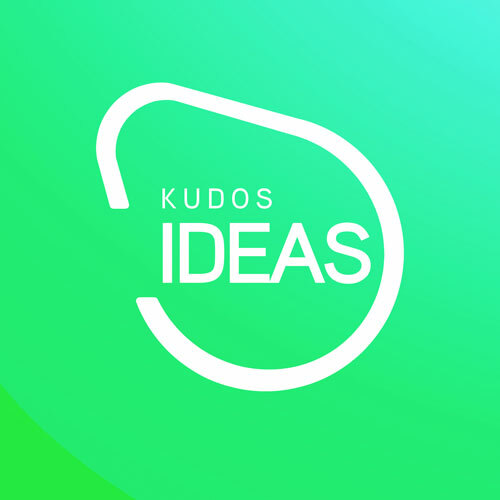 Designed to provide both Strategic Idea Spaces and Idea Sprints, Kudos Ideas empowers all your stakeholders to promote their ideas and to have your community vote and participate in reviewing those innovations. Once the best ideas are selected the expert review process enables the ideas to be validated and supports sponsor implementation and execution of the ideas. Got a great idea during a chat? Want to vote on an idea someone just posted? Use the simple /slash commands to submit, explore and vote on ideas from within the workspace client on desktop or Mobile. See Slash Commands Help for details. News and updates from your ideas are now available in your chat! Filter out the noise and keep up with the latest ideas right from Watson Workspace! Inherit members from your workspaces when you create Idea Spaces. Rest assured that those who should have access will have access! "Another account, another password?!" No Ma'am. Simply sign in with Watson Workspace and start working with Kudos Ideas! Link your Workspace and COnnections Accounts! Also have an IBM Connections account? Link your Connections Cloud or on-premise account with your Watson Workspace account and bring all your ideas together! Bonus - co-innovate with people from all your accounts in the same Idea Space! Learn how you can use slash commands from IBM Watson Workspace to submit, explore and vote on ideas. Go to Kudos Ideas and start innovating! Find out more about Kudos Ideas or Contact us today for a demo!